Now Judge Edward Bailey, sitting at Central London County Court, has ordered Mr Lewis to alter his house and pay his neighbour £250,000 in costs and damages, leaving him facing an estimated total bill for the dispute approaching half a million pounds. The court heard that wealthy widow Mrs Fenton moved into her “lovely house” in St John’s Wood, West London, 35 years ago. 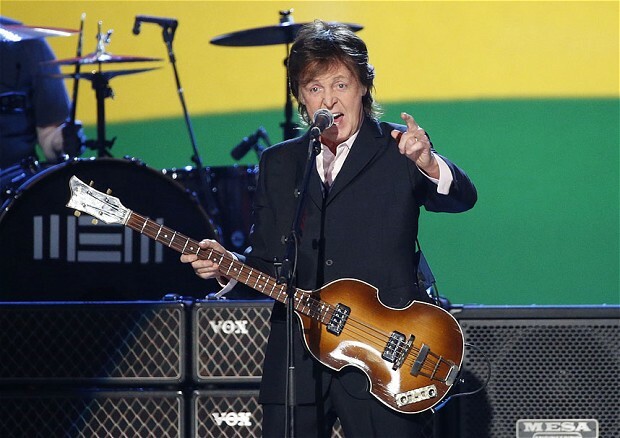 Sir Paul lives in the same street – which is more millionaire’s row than Penny Lane – and it is located just round the corner from the famous Abbey Road studios. Both Mrs Fenton and Mr Lewis are friends with the former Beatle, with Judge Bailey commenting that Mrs Fenton “enjoyed an excellent relationship” with her famous neighbour. Philip Byrne, for Mr Lewis, said outside court that Mr Lewis had regularly spent evenings together with Sir Paul in his house, listening to records. However, the court heard that the relationship between Mrs Fenton and Mr Lewis is less friendly, and that since he bought the property in the late 1990s she has been “embroiled in a number of disputes” with him. Caroline Shea, for Mrs Fenton, told the judge that the dispute between the neighbours sprang out of a long-standing gripe about defective guttering on a glass-roofed extension to the back of the Lewis’ palatial house. 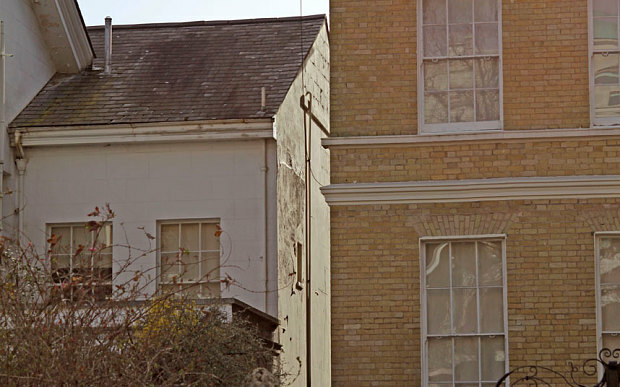 The extension, built in 1997, had inadequate guttering when it was put up, which Mr Lewis had also allowed to become blocked with leaves and other debris, the barrister said, causing damp problems in the day room, kitchen and garage of Mrs Fenton’s own mansion. “It is Mrs Fenton’s case that the extension has also caused the boundary wall between the parties’ respective properties to crack and move,” she went on. The barrister said that Mr Lewis and his wife Marsha, an interior designer, put the blame for the malfunctioning guttering on Mrs Fenton’s own wisteria plant, which they claimed was causing the blockage, and which was none of their responsibility. But Judge Bailey slammed the extension as “bog standard” and not in keeping with an area famed for cebrity residents. He found the gutter had been blocked by lack of maintenance and obstructed by pipes carrying water to and from a swimming pool installed at the back of number three. The judge said: “Mrs Fenton has been living in a lovely house for a long time and has enjoyed an excellent relationship with her famous neighbour at number 7. “But since Mr Lewis acquired number 3 she has found herself embroiled in a number of disputes, which must have been very trying for a lady of 84 years of age,” he went on. “Mrs Fenton first noticed damp in 2003 and raised the question of damp with Mr Lewis in 2011, and proceedings were launched in 2014. She suffered damp in two of the most important rooms in her house and her troubles are not yet over,” he added. 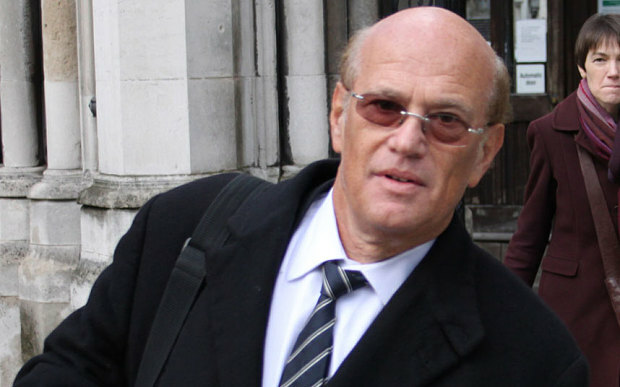 Slamming Mr Lewis, the judge said: “Any responsible householder knows that gutters get blocked. It is unacceptable that, having built a gutter right against his neighbour’s wall, Mr Lewis didn’t have a system of maintenance. “Mr Lewis has shown himself to be incapable of maintaining the guttering, even when it was clear that this litigation had been commenced,” he added. “But damages alone in this case cannot be an adequate remedy,” the judge went on, granting an injunction, compelling Mr Lewis to have his extension roof reconstructed and re-angled so that rainwater pours towards his own property, not the house next door. “For the owners of houses worth millions and millions of pounds and let for huge rents, the cost is so minimal that it seems impossible not to grant Mrs Fenton the injunctive relief she asks,” the judge concluded. He also ordered Mr Lewis to pay Mrs Fenton over £170,000 for her legal costs. His own lawyers bill is likely to be a similar sum. The judge concluded by saying that it would have cost Mr Lewis about £7,000 to get a contractor to fix the leaky gutter, and thus avoid the costly court case.